Hot-rolled strips offer extensive performance characteristics, versatility and economy, in addition to having dedicated properties for specific applications. 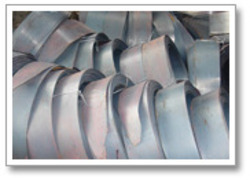 We manufacture strips mainly to cater to the ERW Pipe industry. We manufacture a wide range of H R Strips for our esteemed clients. These are made of high quality raw material with the use of various sophisticated machines and equipments. We provide these to our clients in customized sizes and specifications to meet the varied requirements of our clients. We are manufacturers of a wide range of Holographic Strip that is widely appreciated for unmatched security it offers against counterfeiting. 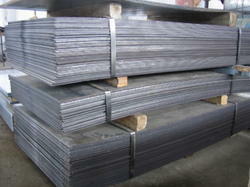 We are leading supplier of Hot Rolled Steel Sheet Strip. Strip or Bealt Rlls is a metal working process that occurs above the recrystallization temperature of the material. After the grains deform during processing, they recrystallize, which maintains an equiaxed microstructure and prevents the metal from work hardening. The starting material is usually large pieces of metal, like semi-finished casting products, such as slabs, blooms, and billets.